When you break down out here, you can’t call a tow truck since there aren’t any tow trucks within 100 miles of here. 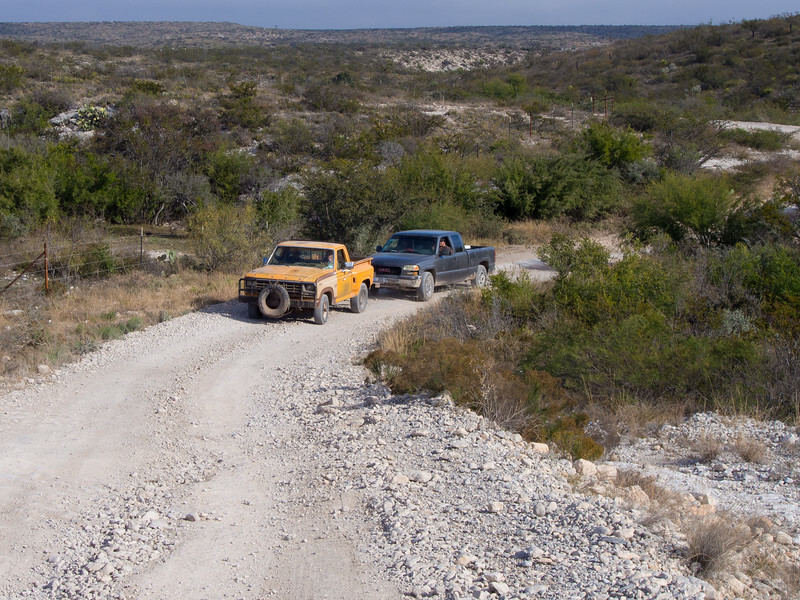 But, if you’ve got a chain and a friend with a truck, he can tow you out, as demonstrated here. As they attempted to make it up the hill, their chain came loose and the blue truck rolled back down the hill. Since there wasn’t anything I could do to help, I just waved as I went by.